Note the tower in the center of the picture. 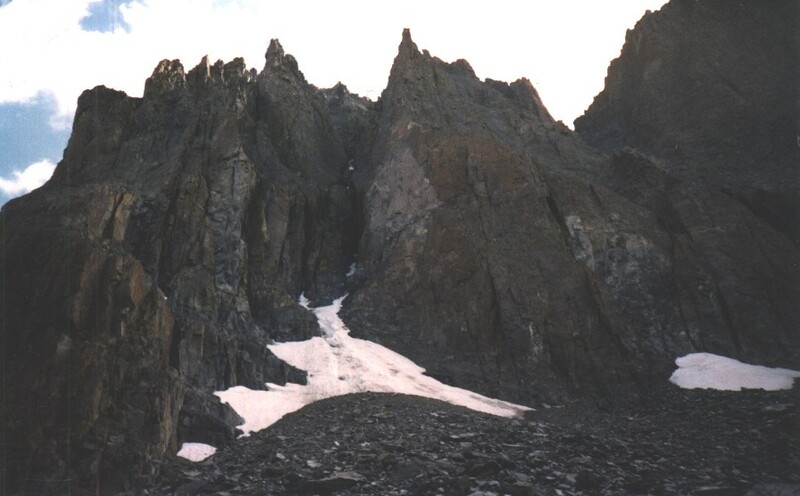 After a loose first pitch you get to climb on the prow of the arete until you reach this tower. 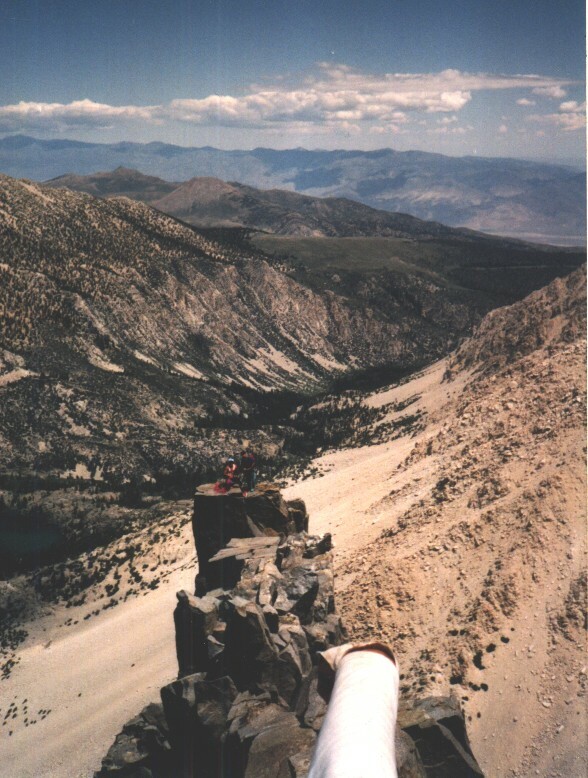 Then climb this knife edge ridge with lots of exposure. This is the view from the base. Below you will see I snapped this picture of a party behind us sitting on top of this tower. Looking back at the towers we just climbed. This route is a classic. A "must do" for any Sierra Backcountry climber.